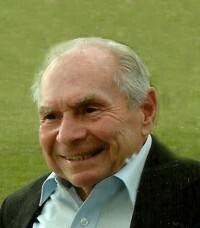 Lawrence E. Omasta, 88, of Shelocta (South Bend), PA, passed away Wednesday, March 27, 2019 at Armstrong County Memorial Hospital. He was born Sept. 12, 1930 in Armstrong County, to Joseph and Stephania (Pasterik) Omasta. Lawrence was a member of Saint Jacob's United Church of Christ. He was a lifelong resident of Armstrong County, where he spent his younger years driving truck for various companies before becoming a member of the Operating Engineers Local 66 for over fifty years. He worked as a crane operator for Adams Steel Erection and Middle States Steel over the years. He enjoyed acquiring, restoring and riding antique Harley motorcycles. Shorty's primary joy was owning, maintaining and piloting his own small airplanes. He truly enjoyed taking Sunday morning flights to many places in Pennsylvania and New York. His memory will be cherished by, one son, Gregory (Diann) Omasta of Rural Valley, PA; a daughter, Susan Jones of Broussard, LA; brothers, Joseph Omasta of Kittanning and Eugene (Kathy) Omasta of Troy, Al; sister, Rosemarie (Steve) Deszendeffy of Towaco, NJ, step-daughters, Pam (David) Adams of Kittanning, PA, Sally (John) Weaver of Shelocta, PA, Deborah (Alan) Blystone of Shelocta, PA, numerous grandchildren and great-grandchilren, and his caretakers Charlotte Ishman and family. He was preceded in death by his parents; his loving wife of 43 years, Helen Frances (Wissinger) Omasta; son, Kenneth Omasta and a daughter, Georgia Omasta. Friends will be received from 10:30 a.m. until the times of service at 2:00 p.m. on Saturday, March 30, 2019 at Clark Chapel of the Bauer Funeral Home, 238 S. Main Street, Elderton. Memorial contributions can be made in Lawrence's honor to VNA Hospice of Western PA, 154 Hindman Road, Butler, PA 16001 or to Saint Jacob's United Church of Christ, 643 Crooked Creek Road, Shelocta, PA 15774. Burial will be in South Bend Cemetery, Shelocta, Pennsylvania. Arrangements are being handled by the Clark Chapel of the Bauer Funeral Home, Inc.
To send an online condolence to Lawrence's family, visit www.bauerfuneral.com.